Yamaha’s fuel cell powered urban mobility vehicle for a new ride sharing service. Recent vehicle news from Asia spurred some thoughts on the opportunity urban mobility presents to small, task-oriented vehicle (STOV) manufacturers. The first article reports on the use of battery swapping to power electric autorickshaws in India. Battery swapping removes the very expensive battery component from the upfront purchase price and reduces long term operating costs. In addition, the electric part moves toward a more climate friendly and less polluting transportation system. The current thinking by some is that smaller two and three-wheeled vehicles provide the best economic case for battery swapping. In contrast, larger vehicles require larger batteries. This means more expensive and complicated swapping stations, and higher up front investment costs for the battery supplier. While this an India based example, the advent of e-scooters, e-bikes and startups offering three wheelers indicate market potential in the US. This week Yamaha Motor announced the public testing of a prototype fuel cell vehicle for a vehicle sharing service. The vehicle looks like less than a typical automobile but more than a golf car. The technology advances new concepts in urban mobility as well as initiatives in Japan to promote hydrogen based fueling. Though the fuel cell provides greater range and less refueling needs, the more important part of this test for STOV OEMs is the vehicle form. The vehicle size and level of complexity should be a good fit for their capabilities. Is Urban Mobility Too Small for Traditional Auto OEMs? These transportation technologies represent a new opportunity for STOV manufacturers to leverage their existing manufacturing and technology expertise into new vehicle markets. The traditional automobile manufacturers are less likely to view these markets as an opportunity. Although, in the long term they could represent a threat to their dominance or at least reduce their addressable market. They are already pouring billions of dollars to enter the highway capable EV market. However, they must balance investment between highly profitable and traditionally popular ICE vehicles and lower margin and riskier EVs. Smaller, alternative energy vehicles are even farther down the list. In addition, their work force arguably did not join their companies to produce small, urban vehicles. Entrants in the urban mobility space include startups like Arcimoto and traditional small vehicle manufacturers serving Asian and to a lesser degree European markets. Startups have the advantage of creating purpose-built vehicles specifically for new mobility markets. However, they lack the manufacturing expertise, financial resources and distribution networks. Traditional foreign small vehicle manufacturers know their home markets, and have the distribution, financing and manufacturing assets. However, they do not have a strong presence in the US market. Other potential entrants include the likes of bike sharing companies as well as Lyft and Uber that have moved into ride sharing with e-scooters and e-bikes. However, these company’s expertise is not in manufacturing. They provide the platform for people to access mobility. One can argue that the platform itself does not provide as a wide moat as the manufacturing and technology assets. 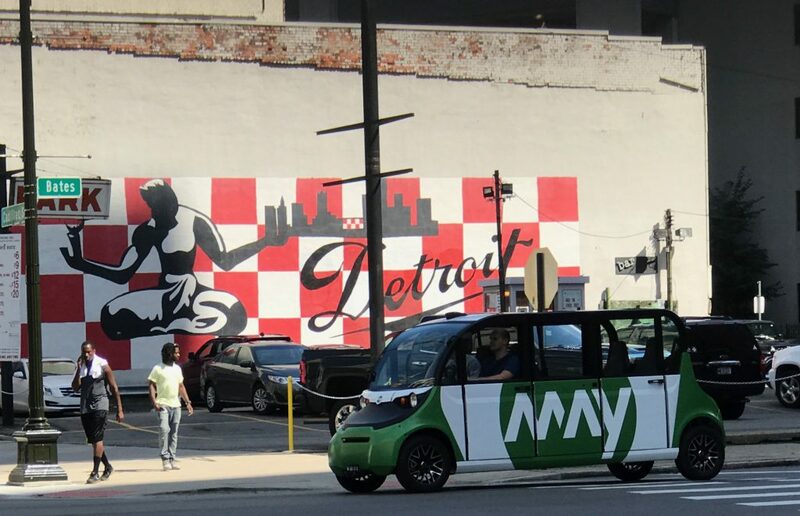 The strengths and weaknesses of these potential providers and the dynamics of the urban mobility market suggest an opening for existing US STOV manufacturers. 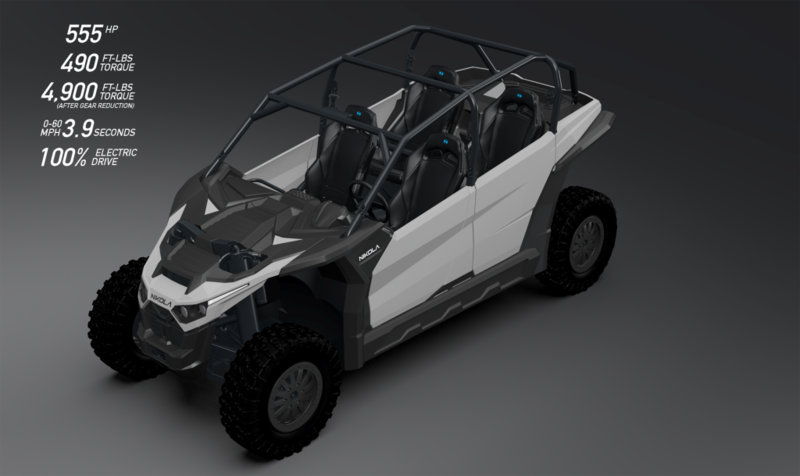 Among the current leading UTV, golf car and LSV manufacturers companies Polaris, Textron and Yamaha appear to be best positioned to pursue this new opportunity. Polaris owns Aixam, the leading European quadricycle brand as well as the GEM, Goupil and Taylor-Dunn electric vehicle brands. These brands provide them with electric vehicle technology as well as a range of distribution networks. On the other hand, the DNA and profit driver of Polaris is off-road motorsports. They may see relatively greater returns on investment in their traditional markets. After the acquisition of Arctic Cat, Textron is similar to Polaris and now has an expansive small vehicle portfolio. Their DNA is more golf car and PTV, and therefore likely better suited towards urban mobility. However, the integration of Arctic Cat has been bumpy and they were slow to recognize the original UTV opportunity. As a piece of a larger conglomerate, their Textron Specialized Vehicle division may not be entrepreneurial enough or have the freedom to pursue this opportunity. Yamaha has both off-road and golf car type offerings as well as e-bikes, but are not well coordinated. These businesses are in separate business units. In addition, their golf car portfolio has been emphasizing gas powered technology rather than electric technology. Yamaha’s existing mobility concept testing along with having one foot in the Asian market and another in the US should be an advantage. However, their slow re-entry into the UTV market after problems with the Rhino side-by-side speaks to a more cautious corporate approach. The STOV OEMs appear to have many of the necessary requirements to pursue the urban mobility opportunity. The question remains whether they believe in the opportunity and if they are willing to take the risk. The Sirius 2 from Star Electric Vehicles is one of a number of PTV offerings at the 2019 PGA Show. My colleague Steve Metzger recently attended the 2019 PGA Show. He reports on the trends in personal mobility vehicles from established and new players. In addition, he discusses the mainstreaming of lithium batteries and related implications. The following is a summary of key insights from the article. The personal mobility market in the form of personal transportation vehicles (PTVs) is attracting an increased level of product development. The major fleet golf car manufacturers, Club Car, E-Z-GO and Yamaha are turning their attention to PTVs and other non-golf markets. The Sirius PTV from Star Electric Vehicles is the most likely candidate to seriously challenge offerings from Club Car, E-Z-GO and Yamaha. 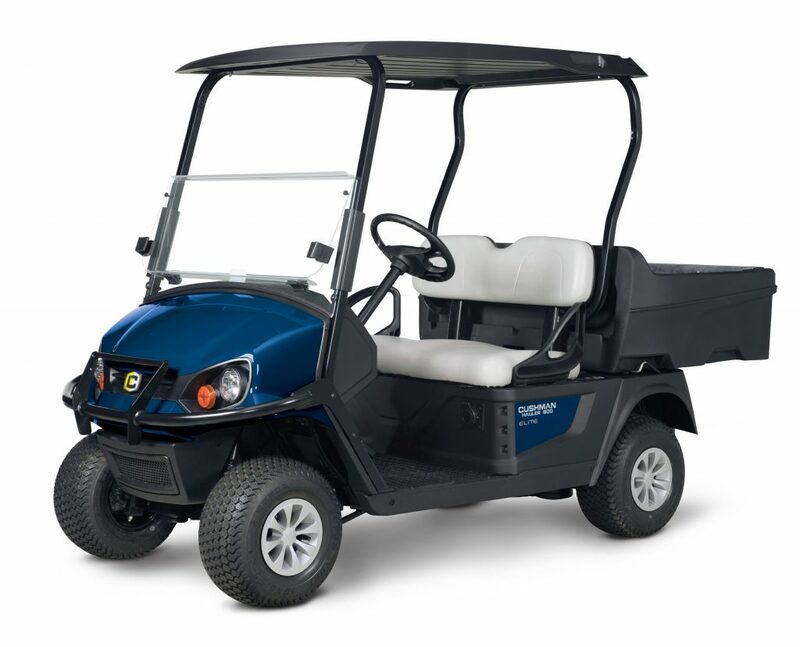 The new Cushman Hauler 800 ELiTE from Textron is powered by lithium batteries. My colleague Stephen Metzger recently attended the 2019 PGA Show in Orlando, FL. Two trends stood out from his journey through various exhibits. First, the on-going development of feature-rich and customizable personal transportation vehicles (PTVs), particularly through automotive-type features. Second, the mainstreaming of lithium power. The manufacturer announcements at the PGA Show and the current PTV shopping experience points to a clear emphasis on PTV market. Both large and small manufacturers are driving this trend. This is part of an overarching effort by manufacturers to pursue growth in the non-fleet golf car markets. 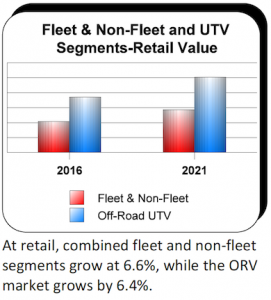 They are targeting the utility and personal transportation segments as fleet sales have declined and then stagnated. Manufacturer websites now allow for easy and quick customization with the simple click of a few buttons. Build your own functionality adds accessories and provides transparent pricing in seconds. Many of these accessories are automotive-style features like LED lighting, high-end audio systems, premium upholstery, and bodywork accents. In addition, these trends are evident not only in offerings from major vehicle manufacturers but from new and smaller manufacturers as well as aftermarket accessory providers. The mainstreaming of lithium powered vehicles is the second key trend evident at the PGA Show. E-Z-GO the first major manufacturer to significantly move to lithium did so two years ago. Now they are expanding their lithium powered lineup beyond fleet models and some PTVs to include select utility vehicles. More significantly, Club Car announced their own lithium powered fleet vehicle, the Tempo, and likely will offer their Onward PTV with a lithium option later in the year. Missing from the lithium powered party for now is Yamaha Golf Car. The move to lithium powered vehicles will likely produce significant changes in the STOV market. Greater range, charging times, and lengthier warranties on battery packs are key improvements. Consequently, they will affect the fleet vehicle cycle, electric powered UTV capabilities and PTV functionality. One effect that should not be underestimated is the maintenance free nature of lithium battery packs. Proper maintenance of lead acid batteries continue to vex individual owners and fleet managers. Maintenance of lead acid batteries continues to be a challenge despite being used for decades and the introduction of advanced watering systems and other technologies. Poor maintenance can lead to a less efficient powertrain, and potentially a large bill for a new battery pack. For more detail on new products and trends at the PGA Show read my colleague Stephen Metzger’s article. Textron Specialized Vehicles launched the Cushman Hauler 800 ELiTE electric powered utility vehicles. Samsung SDI lithium technology powers the ELiTE series. The Cushman Hauler 800 and 800X will feature the lithium battery pack. Textron is targeting golf course superintendents with these models. The Hauler 800 and 800X ELiTE powertrains feature a 48-volt AC drive with a 11.7 hp (peak) motor and two zero maintenance lithium ion batteries. In comparison, the existing electric Hauler 800 and 800X have a 48-volt AC drive with 4.4 hp continues motor and six deep cycle batteries. Textron’s initial introduction of the ELiTE lithium batteries in fleet golf cars was successful. As a result, utility vehicles used on golf courses are a logical extension of the program. Furthermore, from a macro market perspective, Textron is the first major manufacturer in the STOV market to make a strong push with lithium powered vehicles. While others have offered lithium batteries as an option on some vehicles, Textron is the first to incorporate them into key models. Where is the Competition on Lithium Batteries? With the 2017 acquisition of Arctic Cat, Textron Specialized Vehicle business became an even more direct competitor with Polaris. Polaris has been active in the electric vehicle market for years. They invested in Brammo, and acquired Goupil in France and GEM and Taylor-Dunn in the US. However, to date, Polaris has not made a big push into lithium powered utility vehicles in the US. GEM vehicles have an option and the European based Goupil offers two lithium battery pack options for many models. Polaris briefly offered their Ranger EV with a lithium pack but the model was significantly more expensive. 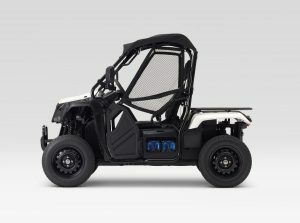 Their volume in fleet golf cars provides Textron with an advantage over Polaris when introducing lithium powered models. At the recent 2019 PGA Show Club Car introduced its lithium powered fleet vehicle, the Tempo. According to sources, they are likely to introduce a lithium powered version of their Onward PTV later in the year. Like Textron, Club Car will have the advantage of production volume through fleet sales. They likely will follow suit and offer lithium powered utility vehicles in the future. A smaller manufacturer likely to follow the trend is STAR Electric Vehicles. 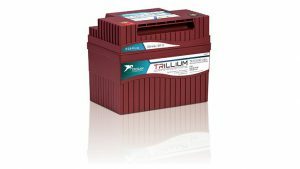 A lithium battery from Trojan’s new Trillium product line. Trojan’s new product line is another indication of the growing use of lithium batteries in the golf car market. For a number of years there has been a lithium battery aftermarket that has largely consisted of smaller companies packaging together the various components. They either sell directly to golf car owners and/or through dealers who can install the components. However, this has been a niche market. In 2015 LiV Golf Cars tried to sell a lithium powered fleet golf car but were undercut by the big players too many times and retreated from that market. There are also smaller volume OEMs like GEM and luxury golf car maker Garia that offer lithium powered vehicles. The most significant move towards lithium batteries came in 2017 when E-Z-GO, one of the major golf car manufacturers, launched their ELiTE line of lithium powered fleet golf cars. They also offer the option on some of their personal transportation vehicles. Financial reports show that E-Z-GO sold over 20,000 ELiTE vehicles in 2017. Samsung SDI is the lithium battery supplier for E-Z-GO. Rival golf car manufacturer Club Car has been linked to battery manufacturer LG Chem but has not yet introduced any lithium powered vehicles. The entry of a brand name such as Trojan should boost the aftermarket segment. Customers will likely have more trust in a Trojan backed product. In addition, if it is as easy to use as advertised, then this niche market should expand. The E-Z-GO product appears to have launched fairly successfully. Continued success will likely force Club Car and Yamaha to introduce their own lithium powered vehicles. Perhaps as soon as the upcoming PGA Show early in 2019. Once that happens, the move towards lithium batteries could accelerate quickly. Does Future Mobility Include LSVs? GEM has been the market leader in LSVs for many years. The falling cost of batteries and rise of autonomous driving technology has launched a new stage in the development of mobility technologies. These advances may be bad news for LSVs. For decades small-task oriented vehicles, and in particular by golf cars, have dominated the EV market in terms of production volume. Long before Tesla, golf car manufacturers produced hundreds of thousands of electric golf cars annually. Primarily for these vehicles were for golf courses, but for personal transportation as well. 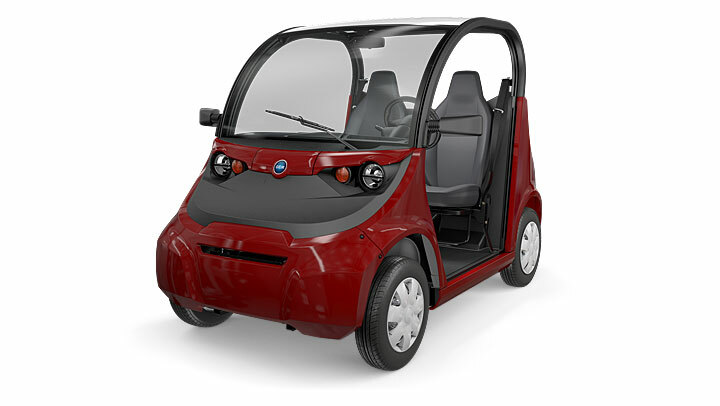 In addition, the large volume of used electric golf cars coming off of golf courses each year were finding their way into the personal transportation and utility markets. In smaller volumes they produced electric powered burden carriers and general utility vehicles for use in enclosed spaces such as factories and warehouses. Federal regulations in the late nineties lead to the development of Low Speed Vehicles (LSVs), originally referred to as Neighborhood Electric Vehicles (NEVs). The LSV classification created the opportunity to move small EVs out of gated and golf communities and relatively confined driving environments and onto public roads in large numbers. Unfortunately, for LSV manufacturers, the widespread adoption of LSVs for personal transportation has never occurred. In theory, LSVs would be a good choice as a second vehicle. They are relatively inexpensive to purchase and operate and suitable for the short trips typical of many drivers. In practice, they are relatively expensive for their limited functionality, and to many they look like a glorified golf car. With a 25 mph top speed, LSVs are too slow for real life driving where speeds are often 30-45 mph. Federal authorities, already concerned about LSV safety, are unwilling to compromise on safety requirements for higher speed Medium Speed Vehicles. The additional safety requirements for MSVs would make these vehicles relatively expensive compared to fully highway capable vehicles. Pricing has always been an issue with LSVs, which typically cost around $10,000 on the low end. They find themselves competing against new, used and refurbished golf cars that can cost thousands of dollars less or comparably priced, but heavily customized golf cars. On the other end of the spectrum, the lowest priced highway capable vehicles available do not cost that much more and offer far greater functionality. As a result, the LSV market has never “taken off”. SVR’s research has shown that LSVs for personal use have only gained traction where local laws restrict the use of golf cars on public roads. The trend has been for local governments to allow more golf cars, modified golf cars and even UTVs on local roads. Where LSV have found some success is on college and corporate campuses. In these environments the LSV safety features are worth the additional expense in the context of insurance and liability. The slower speed is another plus where administrators do not want employees speeding across pedestrian filled campus grounds. The utility LSV has proven to provide plenty of functionality and mobility in these confined environments at a reduced cost compared to pick-up trucks which they often replace. In addition, electric LSVs fit well into sustainability and green initiatives on these campuses. New battery and autonomous driving technologies are unlikely to change the fate of LSVs, and likely will make it worse. Batteries are becoming small enough, powerful enough and cheap enough to create new competitors to LSVs. Namely, a rash of electric bicycles and electric scooters have been entering the market. While costing thousands of dollars, electric bicycles have the potential to chip away at some of the LSV market. Have a short commute on local roads and don’t need to carry much with you. Why not use an electric bike? Need a quick way around urban areas and don’t want to worry about parking? How about an electric scooter. There are electric bike and scooter sharing programs either already operating or in pilot programs in major cities. These options aren’t ideal in bad weather or for multiple passengers, but they can potentially reduce LSV usage. In fact, they may even provide competition to golf cars and Personal Transportation Vehicles (PTVs) within gated communities. GEM configured by May Mobility for self-driving. Similarly autonomous driving technology may very well reduce the potential footprint for LSVs. Google has used some LSVs for the testing of their autonomous driving technology. You could argue from a standpoint of safety that the more controlled environment of gated communities could be a good entry point for the technology. But it appears the major players are starting with highway capable vehicles. There have been some instances of LSVs with the technology being tested for limited use scenarios such as shuttle runs. Currently, the relative expense of the autonomous driving technology compared to the cost of an LSV is likely too high. The economics favor installation on premium vehicles or rental/sharing fleets with the flexibility for high volume usage. 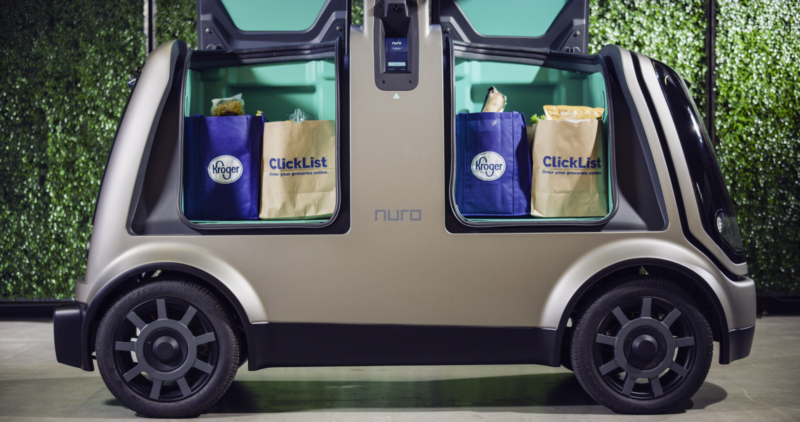 This Fall Kroger will be using passengerless autonomous vehicles from startup Nuro to deliver groceries to customers. 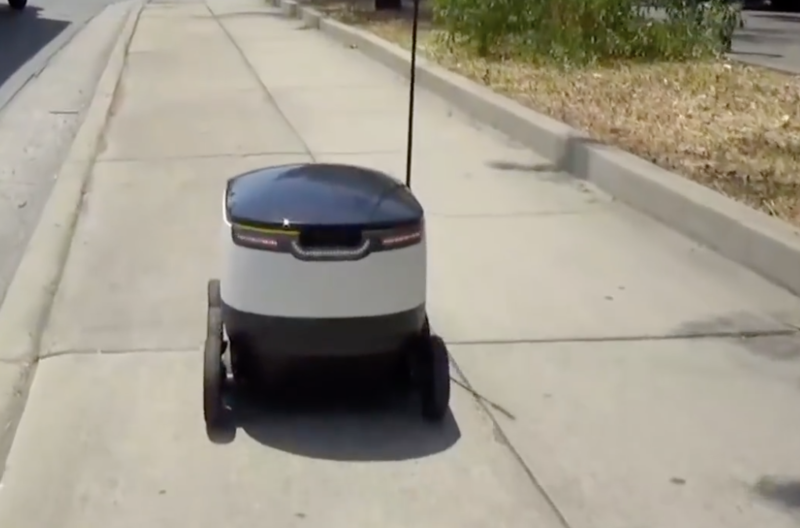 Starship Technologies is rolling out a robotic delivery service on college and corporate campuses this year. Even in the commercial use of LSVs or their slightly faster cousins in Europe for tasks like urban delivery, autonomous driving technology may undercut the application of these vehicles. There are a number of startups developing autonomous delivery vehicles for operation on streets. However, they are passenger less or even smaller and slower for use on sidewalks. The last vestige for the LSV may remain the college or corporate campus, but even the autonomous shuttle could cut into some of that usage. We may be witnessing the highpoint for the use of LSVs right now. 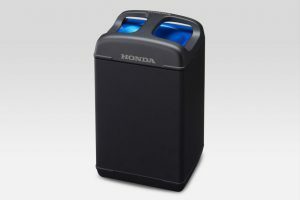 Honda’s Mobile Power Pack recently unveiled at the CES. At the recent Consumer Electronics Show in Las Vegas, Honda unveiled a new swappable Mobile Power Pack battery system as well as UTVs and other products that use the system. As part of this Mobile Power Pack battery ecosystem Honda introduced a portable power system, “Mobile Power Pack Exchanger” and personal charging system. Honda’s Mobile Power Pack is designed to have a capacity of 1 kWh or higher and envisioned as a method of storing and later using renewable energy produced during off peak hours. To that end, Honda presented several product concepts powered by the these swappable battery packs. The autonomous 3E-D18 combines Honda’s work in batteries, robotics and powersports. One such product is the 3E-D18 which Honda refers to as “an autonomous off-road workhorse device utilizing AI”. The vehicle features a Honda ATV chassis with an electric powertrain. By changing the upper part of the vehicle, Honda anticipates the vehicle being used in fire-fighting, agriculture, sports training support or a myriad of other uses. An electrified Honda Pioneer 500 powered by the new mobile power pack. A close-up of the Honda UTV showing a pair of the battery packs. 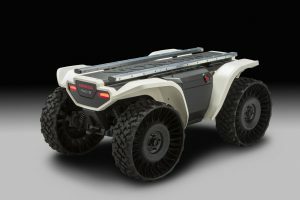 We have already noted some autonomous vehicle efforts in the UTV market by Yamaha and Polaris. This concept from Honda is the first to utilize electric power. These vehicles are likely to be used in highly-specialized and high value applications such as military and fire fighting first because of their high initial cost. As the cost of the technology decreases, they should be used in a wider array of applications. These type of vehicles require a range of competencies and technologies that likely relegates their development to only the largest UTV manufacturers or manufacturers from entirely different industries. Smaller or medium-sized players will likely have to look for technology partners to compete in this area. The swappable battery concept may be a way of addressing range issues for electric UTVs. One can envision a UTV that is used for both work and recreation where work uses do not create a range or battery power issue, but an owner might want to bring along an extra battery pack for trail riding. In a work fleet scenario batteries could be swapped out similar to what is done with forklifts. 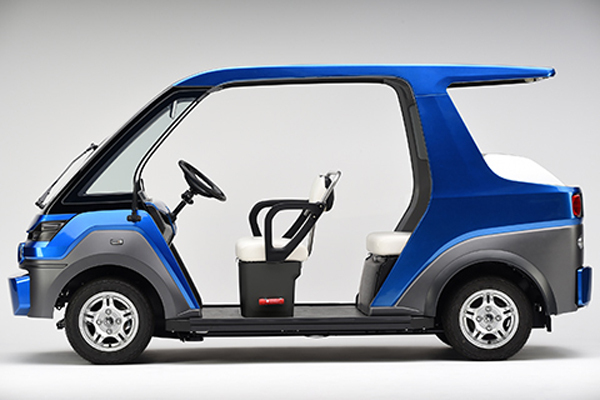 Another interesting point is that Honda lists urban transport and small cargo delivery as potential electric UTV uses. Neither of these uses are currently a primary use of UTVs and indicates a potential long-term growth area for the industry, although one that would require some changes to road use regulations. In a new market study on the small task-oriented vehicle (STOV) market in the US and Canada, Small Vehicle Resource (SVR), LLC predicts growth over the 2017-2021 period. The market research reveals four trends coming together that will result in market gains of mid to high single digits in the forecast period and an industry value in the range of $15.8 billion at retail including parts and accessories. 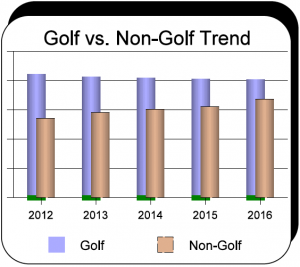 Golf manufacturers emphasizing non-fleet markets over the continuing slow/negative growth golf car fleet market. In total, demand for electric powered STOVs will increase to over 300,000 vehicles in 2021. The demand for non-fleet golf car type vehicles will more than offset the slight decline in the fleet golf car market, moving from under 50% of the total demand to over 50%. 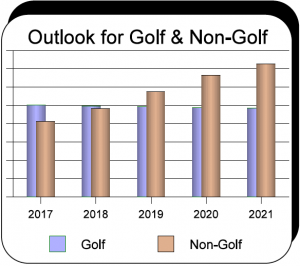 Light utility vehicles produced by golf car and other manufacturers are expected to grow approximately 10% annually to 2021. PTVs will continue to grow low single digits during the trend period and electric powered PTVs will slowly increase to represent nearly 75% of the market by 2021. LSVs will account for about one-fifth of the PTVmarket. The new study, the eighth in the series of studies produced by SVR since 2000, covers utility, off-road, and personal transportation vehicles, and fleet golf cars. The study is entitled, 2017 Market Report on the Small, Task-Oriented Vehicle Industry: Transition and Growth –Trends from 2012; Forecasts to 2021. 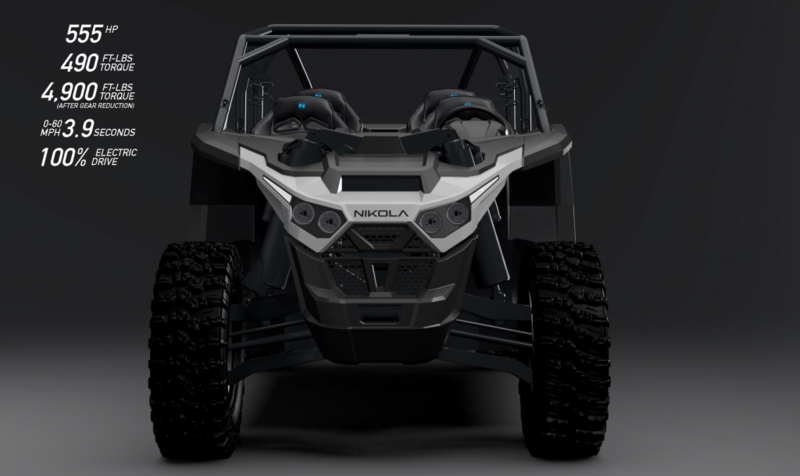 Nikola Powersports has released the finalized specs for their Nikola Zero electric UTV. The Nikola Zero will be the first UTV to come with optional Anti-Lock Braking Systems (ABS), stability control, anti-roll-over, traction control and torque vectoring. Normally these options are reserved for high-end sports cars and not normally found in UTVs. 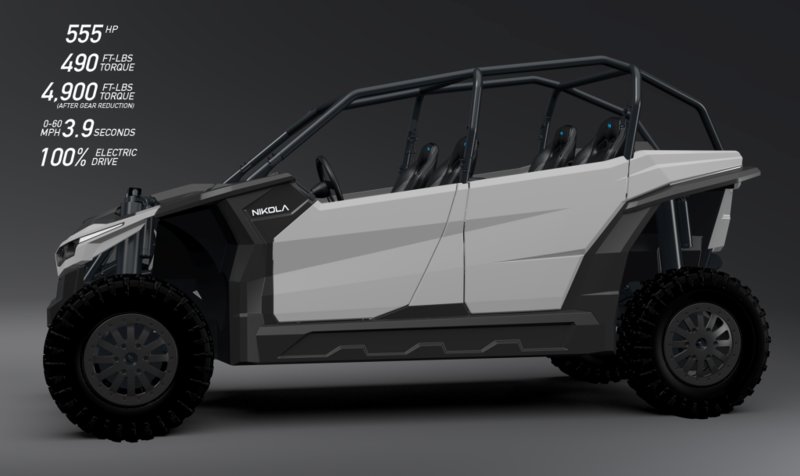 We have worked hard to make these UTVs street legal, and in many states, you may be able to drive the Nikola Zero UTV to work. Once you test drive the Nikola Zero, you will want to trade in your current UTV. No other competitor UTV can match the Nikola Zero’s performance. We are not talking about a few seconds faster than the competition, we are talking about laps faster, with speeds up to 0-60 in 3.9 seconds with four passengers inside. Comment: These are really big battery packs, similar to what Tesla’s use. This raises questions about whether they can really hit that price point and where do they fit the batteries and cooling system for packs that large. On price Tesla’s battery pack is in the range of $190 per kWh from what I have read with the aim to reduce that by 30% for the new Model 3 which would reduce the cost to $135 per kWh. At $135 the cost of a 75 kWh pack is $10,125 and at $190 the cost is $14,250. This is assuming Nikola Motor can match Tesla’s costs which is unlikely considering Tesla is thought to have the lowest battery pack costs in the market and has much higher volumes than Nikola Motor. I am skeptical about the price point but the technology is certainly available to build such a vehicle. The pricing has to be considered in the context of the high end UTVs that the Nikola Zero will be competing against which are already in the $25-30k range. This segment of the market is certainly driven by product features and performance and a portion of the segment may be willing to pay a sizable premium if the vehicle performs as advertised. Another issue is whether consumers in this segment want to switch from ICE to electric powered vehicles regardless of performance. The sound of a high-powered engine is part of the fun, is it not? The street legal aspect of the Nikola Zero could change the value proposition and make the price premium more palatable. From the local ordinances SVR tracks, more and more municipalities are allowing UTVs to be used on local roads. Granted, these are usually low speed roads, but if you can use the vehicle to also make local trips downtown then it becomes more like a second car. Possibly the biggest issue is if the company can ever get the vehicle to market. There have been plenty of electric vehicle startups that have had impressively designed vehicles but are never put into production. I would like the vehicle to actually make it to dealers. Then we can see if it can disrupt the market. 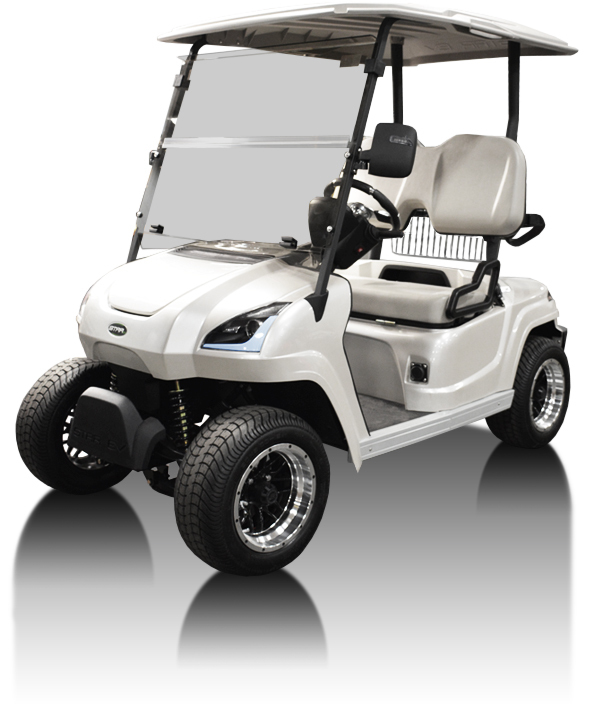 The E-Z-GO RXV fleet golf car is one of models that will be offered with the lithium battery pack. These advantages are similar to what SVR heard from LiV Golf Cars, a start-up golf car manufacturer that tried to break into the fleet golf car market with lithium powered golf cars not to long ago. While the technology sounded promising, the company had trouble trying to muscle in on the big boys turf. However, the technology has the potential to be quite disruptive as golf car leases are typically tied to the life of the vehicle’s battery pack. Economically it makes more sense for a golf course to changeover a fleet than just replace the battery packs. A golf course will typically turn over their fleet when the battery pack needs to be replaced, 3-4 years depending on use. Why spend $600-$1,000 per vehicle for a new battery pack when you can lease a whole new set of vehicles for not much more than your current payments? If the lithium battery packs are kept through their warranty period, 5 years, or even longer, you are potentially doubling or almost doubling the changeover time. Obviously, this has implications for fleet golf car sales volume. How disruptive lithium golf cars will be depends on whether they perform as advertised and how much more they will cost than current fleet golf cars. If the energy cost savings are significant and the pricing not to high the payback time could be relatively short. In the long term the maintenance free aspect of the battery pack may prove to be a significant factor as well, since maintaining lead acid batteries properly continues to be a challenge. This will probably not manifest itself until the vehicles are out in the market and golf course managers better understand how much less maintenance they require. AUGUSTA, Ga. (January 26, 2017) — E-Z-GO, a Textron Specialized Vehicles business, is proud to yet again revolutionize electric golf cars with the introduction of its ELiTE Series lithium golf cars as a fleet offering. Activated by Samsung SDI lithium technology, ELiTE vehicles offer zero-maintenance batteries with a five-year unlimited amp-hour warranty and increased energy efficiency. E-Z-GO vehicles are designed and manufactured in Augusta, Ga. by Textron Specialized Vehicles Inc., a Textron Inc. (NYSE: TXT) company. New ELiTE Series vehicles are powered by hundreds of Samsung SDI lithium cells that are loaded into a single battery pack. The battery pack is controlled by an advanced Battery Management System that monitors efficiency, temperature, state of charge and the health of the batteries. These batteries are used to safely and reliably power electric cars, e-scooters, power tools and many other electrically powered vehicles, equipment and appliances. The revolutionary ELiTE Series vehicles are powered by zero-maintenance lithium batteries that don’t require watering, terminal post checkups and cleaning like traditional lead acid batteries do. This means less time in the shop for maintenance and repairs, and more play time for the vehicles. ELiTE Series vehicles are 59 percent* more efficient than the Club Car Precedent and 52 percent* more efficient than the Yamaha Drive AC. Charging time is significantly reduced, and ELiTE vehicles allow courses to “opportunity charge,” plugging vehicles in for quick charging sessions between rounds that can rapidly restore significant levels of energy to the battery system, as opposed to the lengthy recharge cycles required by lead-acid batteries. With less power required to charge ELiTE Series than leading lead-acid competitors, golf course managers can cut energy costs while enjoying the extra revenue that comes from all-day uptime. The batteries in ELiTE vehicles are also lighter than traditional lead acid batteries. ELiTE Series vehicles batteries are half the size and a fraction of the weight of lead-acid batteries, reducing turf damage and soil compaction due to vehicle weight. E-Z-GO is confident in the reliable and enduring performance that ELiTE vehicles will bring to courses, which is why the vehicles’ batteries are backed by a five-year, unlimited amp-hour warranty. E-Z-GO ELiTE Series vehicles were tested at Tijeras Creek Golf Club, in Rancho Santa Margarita, Calif., where last year, 73,000 rounds of golf were played. The award-winning course is known for its challenging hilly, brutal terrain. Tijeras Creek Golf Club regularly rotates vehicles in the current lead-acid golf car fleet in and out of service daily to allow for ample recharge time. RXV® ELiTE, Freedom® RXV ELiTE, Freedom RXV 2+2 ELiTE, TXT® ELiTE, Freedom TXT ELiTE and Freedom TXT 2+2 ELiTE. ELiTE Series vehicles will be on display during the PGA Merchandise Show in Orlando, Florida. 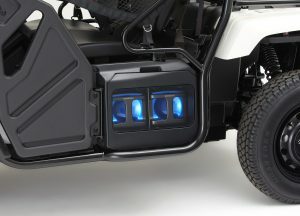 Learn more about ELiTE Series vehicles, by visiting www.ezgo.com/elite.